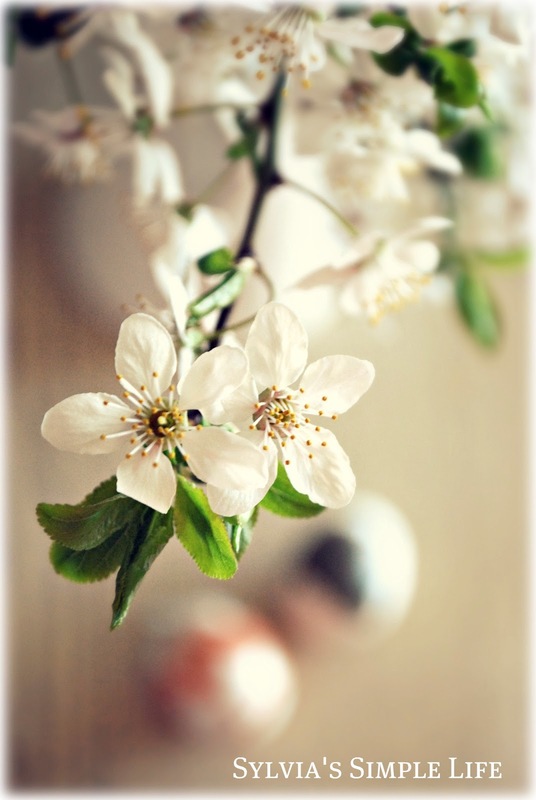 While anticipating the arrival of Easter and preparing our hearts for it, we are trying to center on the story of the real meaning of the celebration.
" And this is the promise which He Himself made to us: eternal life." With a few of my photos I would love to wish all of you a bright and peaceful Easter filled with love, laughter and goodness! I feel the sweet urge to make my own Easter bread. I called my mom and granny for the recipe and I better hurry to prepare the dough since everybody warns me that the secret to a really good Easter bread is to allow the dough to rise properly. I know, I know, kneading this dough is quite tricky.. 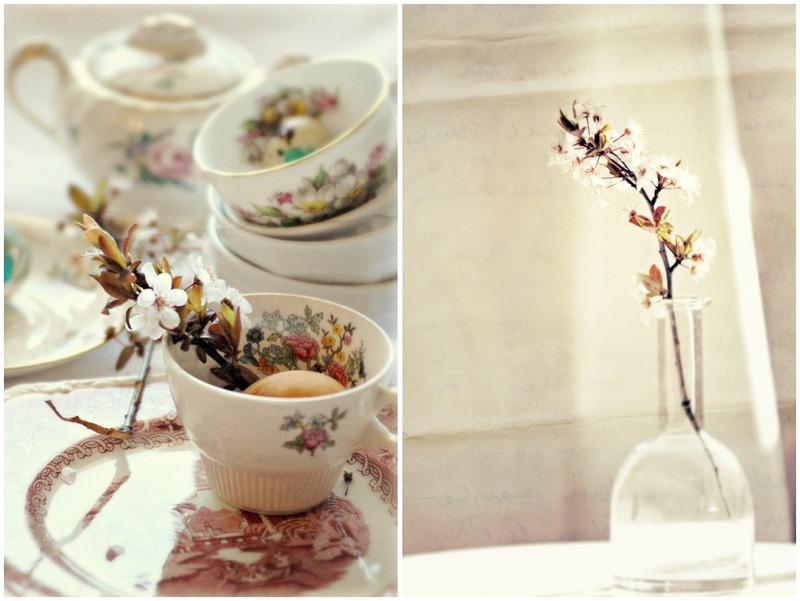 Thank you for the lovely response to my Spring Afternoon Tea! Your pictures are absolutely marvelous. Your photos are rich and brilliant! Do pop by and say hi if you get a sec! 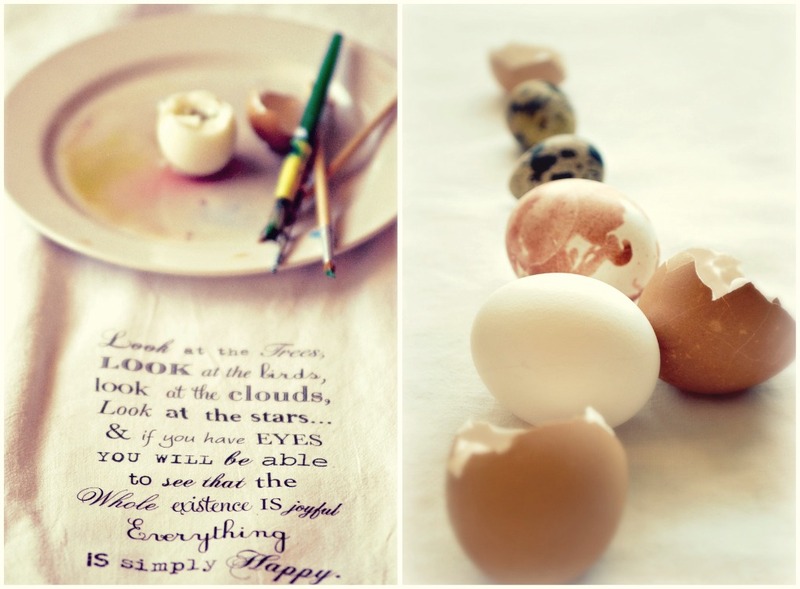 Those beautifully dyed eggs remind me of some of the kind that CHICKENS REALLY DO LAY, with the pretty pastel colors and speckles...this is what I love....the SIMPLICITY of nature's art, the ORGANIC feel to your photography and the natural SUNLIGHT that embraces your subject. This is what I love. I am also learning about how to feature an art piece in a way very similar to what you do here: YOU HIGHLIGHT JUST the subject of interest with very little to no excess. THAT IS WHAT MAKES YOUR WORK SO SPLENDID. ENJOY this glorious weather, this reflective celebration of LIFE and LOVE ETERNAL, and your quote that you left me IS OUTSTANDING and parallels a thought I had this week, about how BLESSED WE ARE TO HAVE BEEN BREATHED INTO EXISTENCE!!!!!!!!!!!! 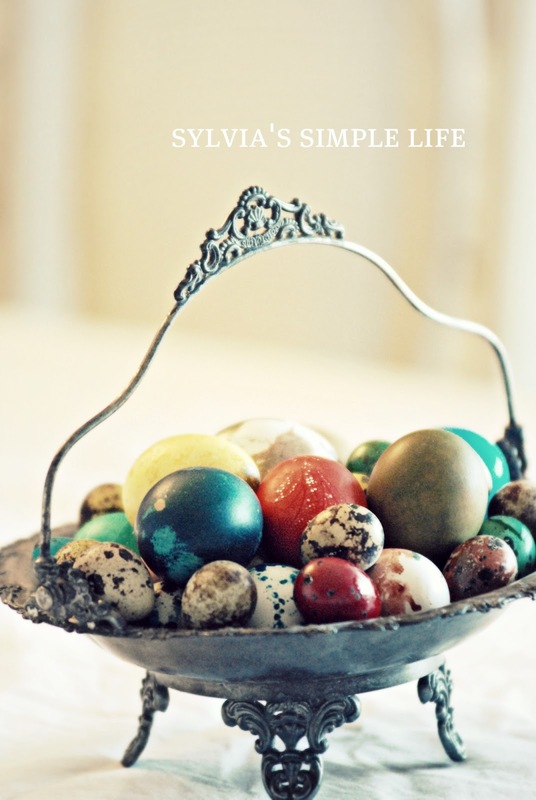 What a lovely post, Sylvia! All your images are so delightful and the sentiments as well. 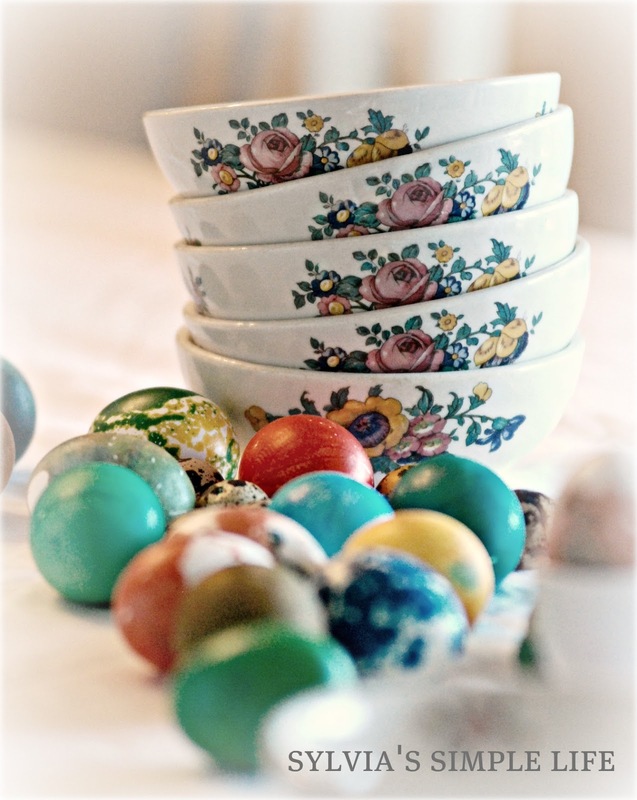 Wishing you and your family a very Happy Easter. Your photographs are so beautiful...magazine quality! If you don't mind my askiung, how do you make these large photo collages? I need to break free from Picasa as that is the only editing program I use. 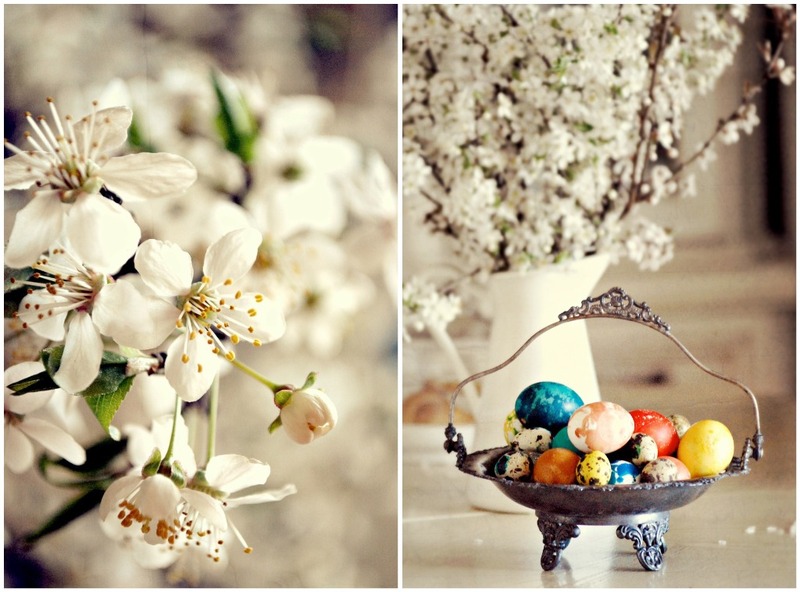 Beautiful Blessings for a Joyous Easter to you, dear friend and sister! 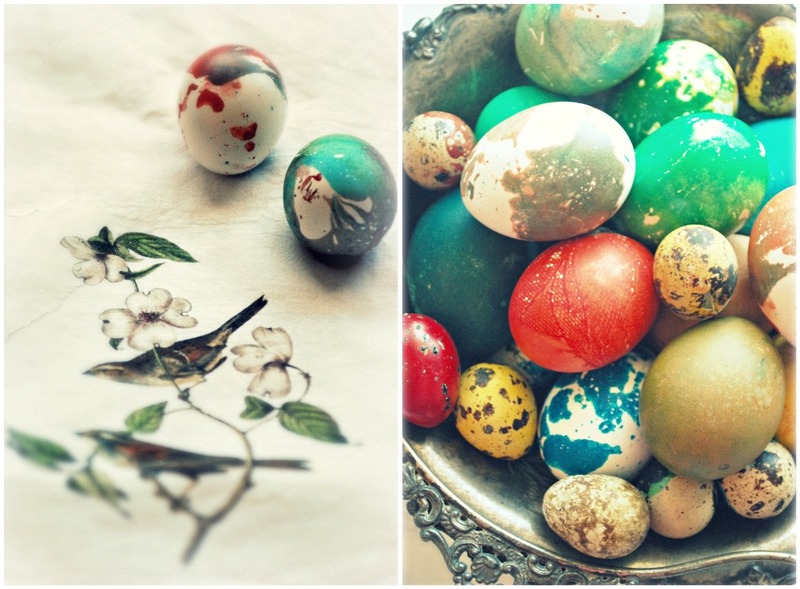 Your son's creativity is fantastic...gorgeous eggs. 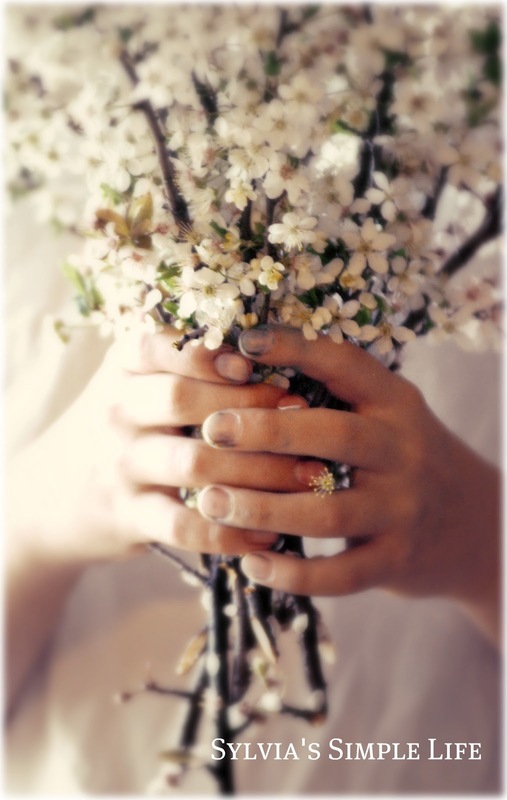 I really love the photo where he holds the flowers...his hands showing that artistic work that has been done. 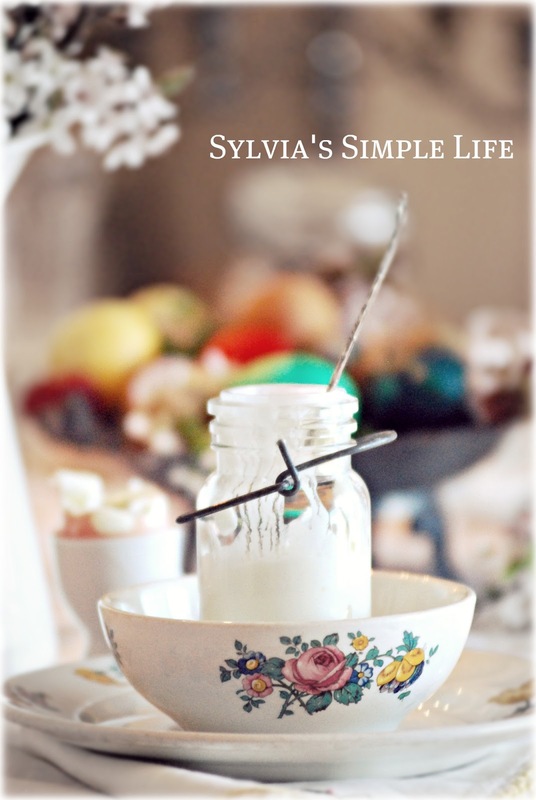 Enjoy that yummy bread and a glorious day, dearest Sylvia! Such gorgeous images. Thanks for being a part of Seasonal Sundays this Easter. Lovely photos as always, Sylvia! 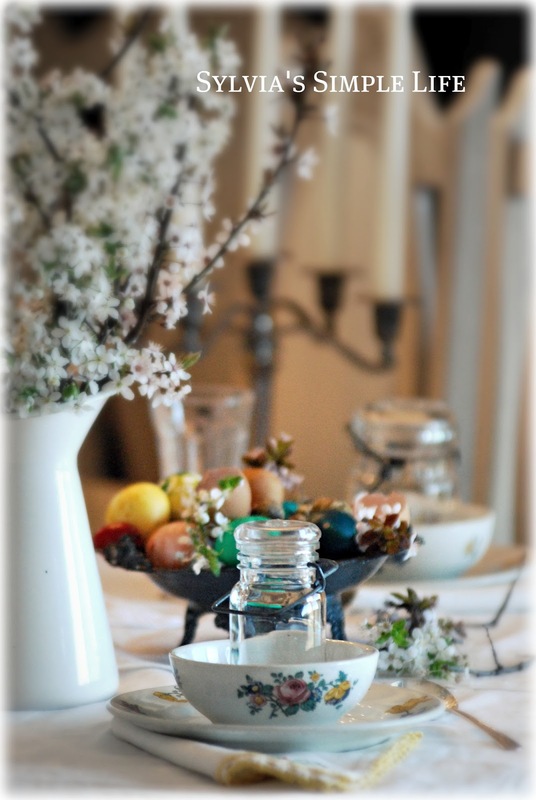 I hope your Easter was wonderful!